Founded in 1984, New York’s Petrossian restaurant is housed in the historic Alwyn Court Building on Manhattan’s West Side, one block from Carnegie Hall and four blocks from Lincoln Center. 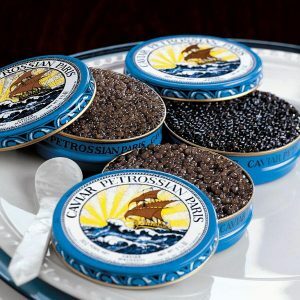 Owned by the Petrossians, it serves a French-influenced contemporary menu that features the caviar, smoked fish, and foie gras delicacies for which Petrossian is known throughout the world. Lunch, dinner, and brunch can be enjoyed at either the art deco style mirrored bar or in the dining room. Designed by Ion Oroveanu, the restaurant features Lalique crystal wall sconces, bronze sculptures from the 1930’s, etched Erte mirrors, Limoges china, Lanvin chandelier and pink Finnish granite, all harmonizing to create a visual ambiance that can be savored equally with the unsurpassed gourmet experience. Le Diplomate pays sincere homage to French cafe culture, providing a comfortable, versatile gathering place that’s become an anchor for Washington, D.C.’s resurgent 14th Street corridor. Our all-natural pâtés, terrines, mousses, cornichons, petits-toasts, mustards, saucisson, and other French specialties are hand-crafted in small, handmade batches with only the highest-quality ingredients. 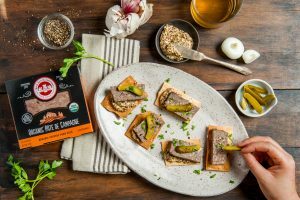 Founded in 1975 by 3 French Chefs as a small charcuterie in the heart of New York, now our products are available across the US in fine food stores and by mail-order. 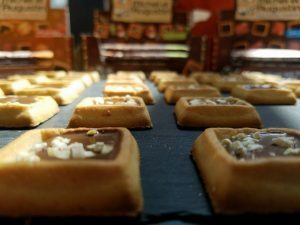 Locally made, high quality, small batch chocolates and caramels. 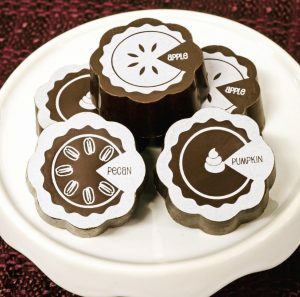 Offering gourmet chocolates as wedding and party favors, business gifts, special occasions, and everyday presents. Available at local retailers: Bradley Food and Beverage, The Blue House, Periwinkle, Hill’s Kitchen, Broadbranch Market, check website for more.. The Confrérie du Sabre d’Or is devoted to promoting the act of Sabrage and the enjoyment of Champagne around the world. The Heart of the Order is the growing number of Caveaux de Sabrage where Sabrage may be performed. The Caveaux range from small restaurants and Wine Bars to the grandest of Hotels. They all have two things in common: Champagne and fun. This is a wine and far too good to be left only to special occasions. We’ve been perfecting our 100+ recipes, made in France and Europe, to the peak of tastiness with our compatriots in France for 12 years. Now we’re ready to introduce our French savoir faire to your neighborhood! Our family has been in business since 1952. 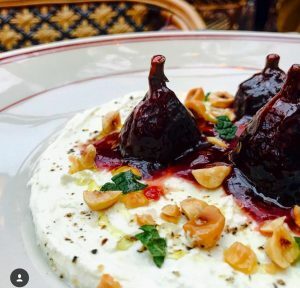 Three generations have succeeded each other before the copper cauldrons to create and cook the best jams with respect to the traditions and the French gastronomy. Our premises were originally placed in the heart of the largest orchard in the region of Ile de France, few kilometres away from Paris. We have always been passionate about the premium French brands, Chefs and the finest French tables for which the country is famous. Our expertise in the field of fruits is the result of 60 years of collaborations with the leading professionals. We have been able to learn and understand how to select the best ingredients from the best terroirs to create exceptional recipes, adapted to each of our partners. Any time is pie time, morning noon or night. This is the motto of the Georgetown Pie Sisters. Alli, Bear and Cat Blakely created the Pie Sisters of Georgetown in the fall of 2010. 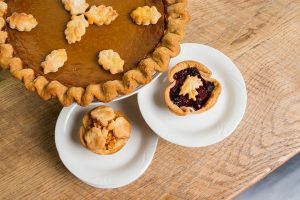 The three tall sisters from Great Falls, VA have been baking pie for as long as they can remember. Homemade pies are and have always been a staple in their family tradition. They grew up canning peaches and putting up fresh fruit pies, like their mother, which always brought family and friends together. The secret of Bonne Maman Preserves and Jellies is simple – our ingredients. Made from the same time-honored traditional French recipes used to create the brand, our preserves and jellies are made with natural ingredients and feature only the finest quality fruit. 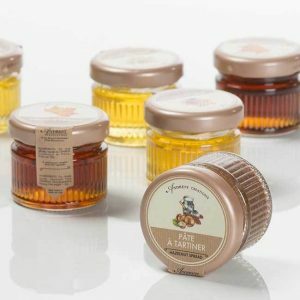 Bonne Maman Preserves and Jellies, produced in France, are Non-GMO Project Verified, have no high fructose corn syrup, no artificial coloring or no preservatives added. 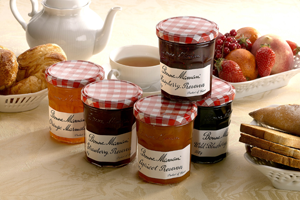 Everything in Bonne Maman Preserves and Jellies could easily be found in your Grandmother’s kitchen cabinet. Our iconic wide mouth jar features a handwritten style script label reflecting the simple ingredients, homemade taste that is Bonne Maman! 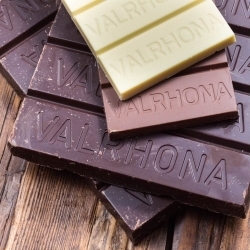 Created in 1922 in France by a pastry chef for pastry chefs, Valrhona has remained a chef driven company that values working in partnership with culinary professionals. Valrhona employs 30 corporate chefs and operates four premier pastry schools (“Ecoles Valrhona”) throughout the world for chefs to learn, exchange ideas, and master their craft. Valrhona is committed to the creation of unique artisan quality chocolates with complex and balanced flavors. As an owner of 2 plantations, Valrhona is literally the source of fine chocolate as they plant, discover, select, and blend fine and rare cocoa beans. 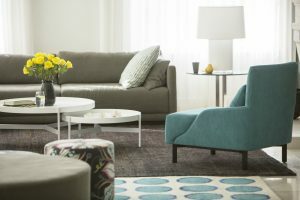 Ligne Roset is synonymous with modern luxury and invites consumers to revel in a contemporary, design-forward lifestyle.Known for its artful collaborations with both established and up-and-coming talents in contemporary design, Ligne Roset offers consumers an entire lifestyle in which to live both boldly and beautifully via its furniture collections and complementary decorative accessories, lighting, rugs, textiles and occasional items. The Chapter serves the Mid-Atlantic Region, which covers an area from Richmond, Virginia to Baltimore, Maryland. At the Washington DC Chapter, our members are businesses and professionals involved in French-American commerce, and who have an interest in bilateral trade, investment and culture. 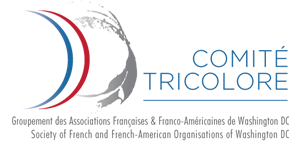 The Tricolore Committee (501-C 3) is the associative network of a strong and supportive Francophone community in the ​​Washington, DC area. It is an apolitical, philanthropic non – profit, open to French, Francophone and Franco-American clubs or associations of the Washington, DC region which share a common interest in French culture and in the strengthening of the relationship between France and the United States.